As a young girl, Jennifer chose to spend her after-school hours watching TV instead of playing outside. On top of being sedentary, she lived on quick, high-fat meals, like burritos covered in cheese. She kept gaining weight and, by age 20, hit 214 pounds. 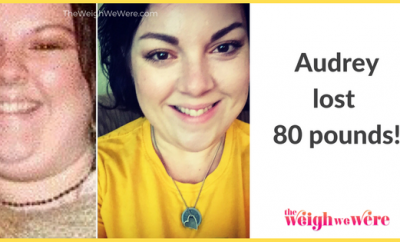 Jennifer wasn’t happy about her weight, but she lacked the motivation to change. “I was in a serious relationship, and I figured if my boyfriend didn’t think I needed to slim down, I shouldn’t worry too much about it,” she says. When she got engaged, Jennifer finally found a reason to tackle her growing waistline. “I wanted to look good on my big day,” she says. “Unfortunately, soon after he proposed, I found out he’d been unfaithful, and I called off the wedding.” But as upset as Jennifer was, she didn’t want to give up on her goal of getting healthy. When a friend suggested joining a gym together, Jennifer agreed. “The buddy system was perfect because I looked forward to meeting up with someone,” she says. “And my time on the treadmill helped me blow off steam.” Loving the way exercise made her feel, Jennifer met with a trainer to learn about strength training. “I’d never done any before, so he taught me basics like biceps curls, lunges, and crunches,” she says. As the weeks went by, Jennifer got more toned. 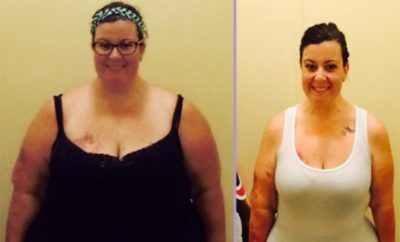 “Seeing new muscles was motivating,” she says. 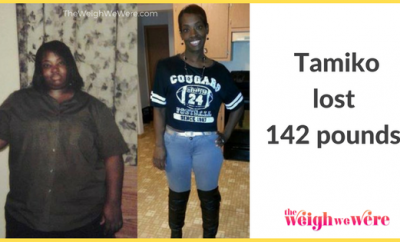 Almost as soon as she improved her lifestyle, she started dropping about a pound a week. 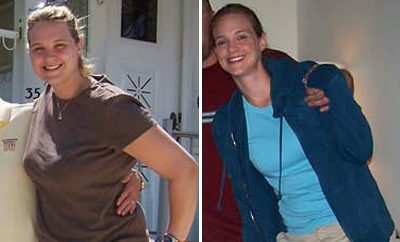 Jennifer knew that exercise alone wasn’t enough—the next step was cleaning out her kitchen.